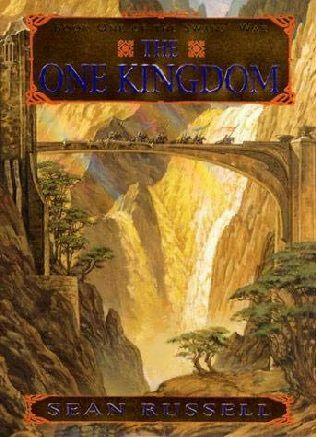 The Wills and Renné families have been at war with each other for a very long time, fighting over the ancient throne of a kingdom torn apart by their feud. The new leader of the Renné family, Toren, hopes to put an end to the feud by handing back to the Wills a key piece of territory, against the wishes of the rest of the family. But even this gesture might not be enough for the Wills, who are working to secure a political marriage that will give them an army strong enough to defeat the Renné family once and for all. In a practically unrelated plot, cousins Tam, Baore and Fynnol travel from the Vale - a village far removed from the strife between the Renné and Wills families, where people could escape from their pasts and create a new life for themselves - in hopes of buying a horse. Along the way they run into an innocent looking man who shares their fire for a night, only to find out he's being chased by an army who now thing they are his allies. Pursued without knowing why, they fall in with Cynddl, a nomadic Fáel man whose people have tasked him with finding ancient stories of power. Can they survive the trouble that seems to find them at every turn? I liked this book and thought it was a promising beginning to the series. The main issue I had with it is that too much page space was devoted to the Tam-Baore-Fynnol story, which wasn't even connected to the main WIlls-Renné plot. For the most part, I felt like the story could have - and should have - been told without them. Another problem was that, besides Cynddl looking for ancient stories and Fynnol who wanted a horse, neither Tam nor Baore had any real reason for leaving the Vale and following their cousin on his journey; Tam even says at one point that he doesn't even know the reason why he was leaving the Vale! There were some hints that they would end up playing a larger role - all the stuff about families escaping to the Vale, changing their names to run from the past - but nothing came of it in this book. I also kind of didn't understand why all of the characters picked on poor Fynnol. He didn't seem to be as bad a guy as everyone made him out to be. Like I said, at least he had motivation behind his actions. He wanted a horse! The Renné-Wills plot was more interesting and I felt there wasn't enough time devoted to them. In particular, the plotting of the Renné family against Toren's actions really took a backseat throughout the book, when it should have been a major focus of the book, in my opinion. To me, it felt like there was a part of the story that was missing. As I currently do not own books 2 and 3 of the series, it might be awhile before I get to see if the promise I saw in this book is realized or not.